Candid discussions with folks involved in and around the SaaS industry. 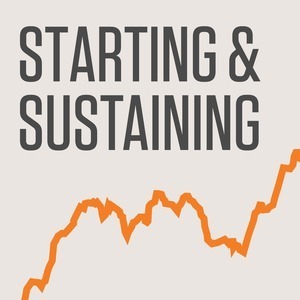 We found 4 episodes of Starting & Sustaining with the tag “marketing”. The journey Nathan has gone through with ConvertKit is amazing. From significantly missing his original goals, he continued to work and make adjustments to ConvertKit and his approach until he found the sweet spot. Since then, ConvertKit has grown incredibly fast, and Nathan's been openly sharing everything he's learned throughout the journey. Courtland is earlier on in the cycle of building a business, but he's on the right track. He's gained a ton of insight from past experiences, and now he's building Indie Hackers and talking to a plethora of other small businesses about what has and hasn't worked for them. Allan is the cofounder of LessEverying, makers of LessAccounting. They recently sold LessAccounting and are moving back into traditional consulting and having a blast with it. Natalie is the CEO of Wildbit, makers of Postmark, Beanstalk, and DeployBot, and it's where I work full-time these days.